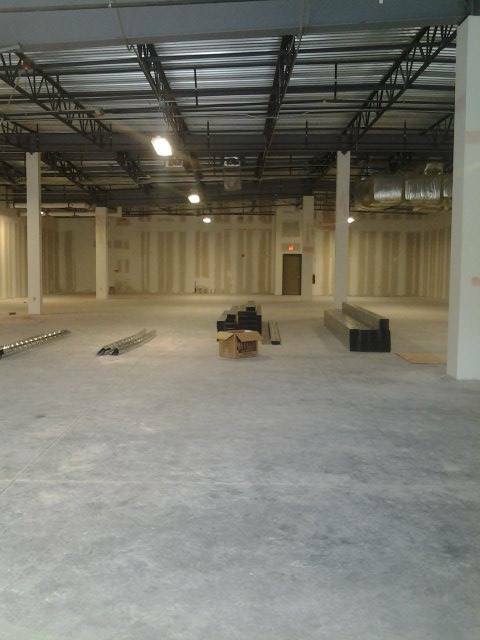 Yet another resident of the new I-Drive 360 complex has emerged with enticing previews! Skeletons - Animals Unveiled is fast approaching opening day, and it promises to provide first-class edutainment. Skeletons is a branch-off from The Museum of Osteology, based out of Oklahoma. Skulls Unlimited International Inc. is the company behind these creative endeavors, which help to promote the studies of anatomy, anthropology, and archaeology. A perfect compliment to the overall vibe of I-Drive 360, Skeletons is definitely something different. Skeletons will be much more than a simple "museum". It will be an interactive experience that intertwines scientific curiosities with Orlando-style amusement. 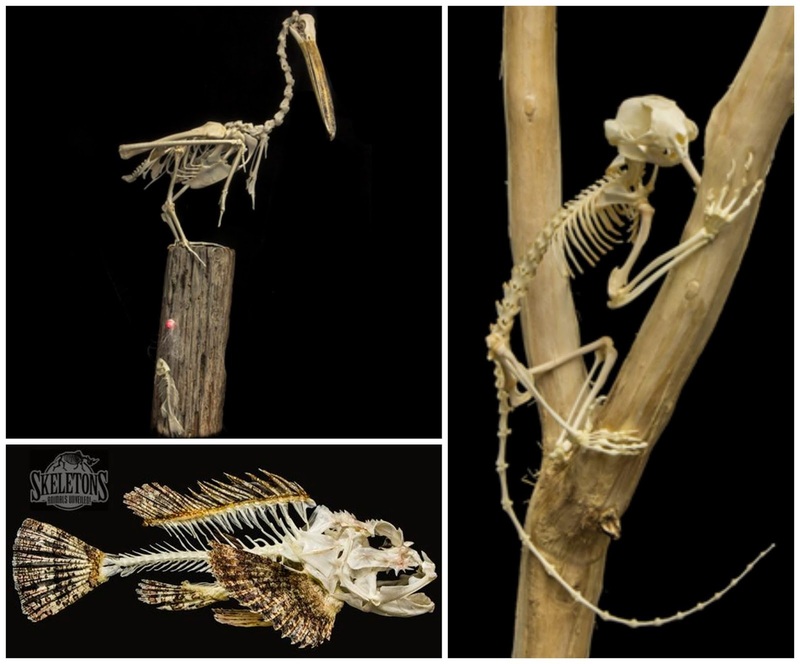 Skeletons will feature more than 400 exhibits, showcasing a vast array of animal kingdom representatives. Whales, mice, and everything in-between will be displayed in vibrant (and sometimes quirky) dioramas, and themed settings. The full Skeletons experience holds limitless potential. The tour is self-guided and self-paced, but they will incorporate technology that will provide extended exhibit information and rich detail, enhancing the experience with handy smartphone apps. There will also be scavenger hunts involving "clues" hidden throughout the exhibit. You can expect to spend 60-90 minutes exploring the site, on average, but you're welcome to spend all the time you need. The experience will be ideal for all ages, with schools and youth groups finding incredible opportunities for enrichment activities (including a fascinating option for "sleepover" parties). There will be original educational programs available to homeschooling groups - a fantastic touch that I personally value, as a homeschooling parent. The Skeletons gift shop will offer a perfect combination of standard, themed souvenirs, and educational tools. The overall goal that Mr. Brisson hopes to accomplish is encompassed by the the thee e's - to be "educational, entertaining, and engaging". Additionally, Skeletons will be available for groups, parties, and team-building events. In fact, they've already scheduled their first private event - a wedding among the bones! After a social media search for the perfect couple, Skeletons has extended a gracious offer to host the wedding of Ashley and Jesse on April 25 - for free! Some may find the idea of skeletons to be a bit unnerving. "Macabre" was the word that one of my readers used to describe her thoughts on the location. This couldn't be more inaccurate! The idea behind the exhibit is to promote the wonder and understanding of science and anatomy. The displays are painstakingly created, not for shock-value or as a horror sideshow, but as a testament to better comprehension of the complexity of living creatures. This will also not be a standard museum tribute to fossilized history. With the exception of a couple of specially designed displays (such as a centaur), all of the represented species are still alive and functioning among us today. "Extant - not extinct", as Mr. Brisson puts it. The process to create the exhibit is certainly one to respect. Over 500 hours of effort go into the extensive process. Each specimen is first prepared and "cleaned" by the use of dermestid beetles, followed by a chemical process to whiten and degrease the bones. At this point, the articulation process begins. Skilled professionals are faced with piles of disconnected bones, ranging in size, much like a puzzle. Assembling these puzzles into anatomically accurate re-creations is no small feat. 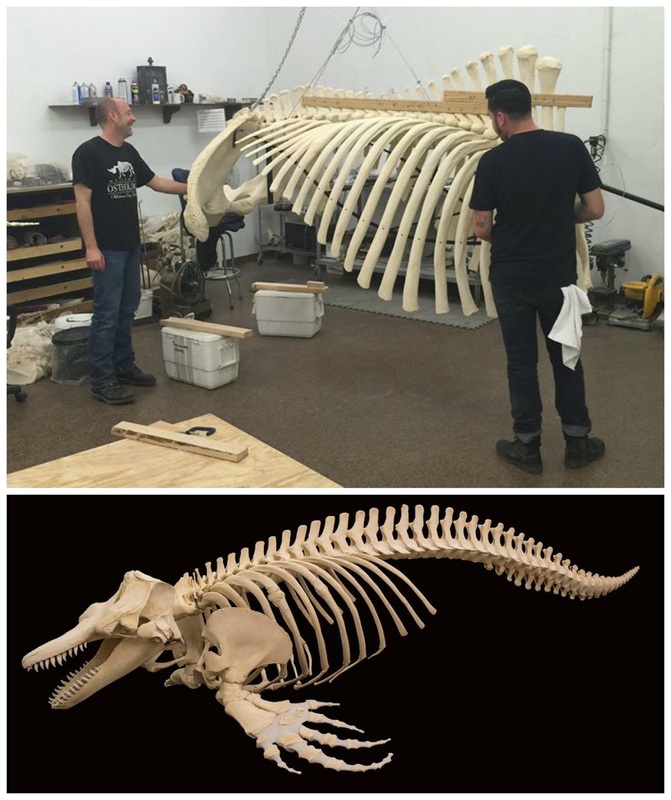 Skeletons has been unveiling details of their coming exhibits on social media. The pictures throughout this page provide a glimpse at a few of those reveals. How many can you name? 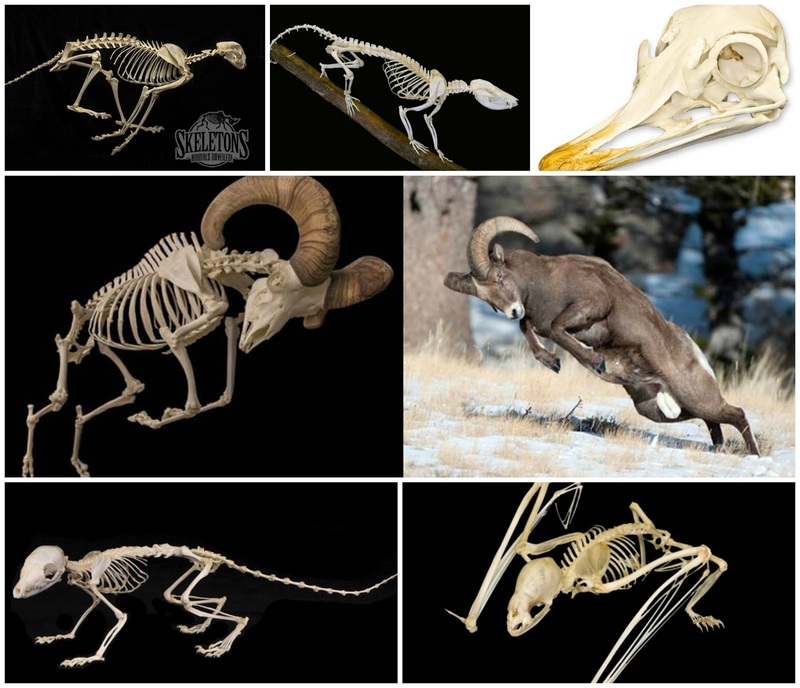 To test your anatomical acumen, visit Skeletons - Animals Unveiled on Twitter and Facebook, where you'll find captioned descriptions for these photos and more! I asked Mr. Brisson for his personal favorite display in the exhibit. It just so happens to be the giant of the exhibit, as well as a familiar local - a killer whale from Sea World Orlando, who died of natural causes. This display will be hung from above, near the entryway to the attraction. Skeletons - Animals Unveiled will be unveiled sometime in April, hoping to form a coherent, synergistic phase opening with its neighbors at I-Drive 360, including Madame Tussauds, Sea Life, and The Orlando Eye. The exhibit will open daily at 9AM, 365 days a year. Tickets are currently being priced at $19.99 for adults, $12.99 for ages 4-12, 3 and under are free. Multi-attraction, combo tickets will be available - including an option to combine visits to Skeletons and Ripley's Believe it or Not, perhaps with lunch on the lush, inviting grounds beneath The Orlando Eye! Stay tuned for additional details on the opening of Skeletons - Animals Unveiled. Thank you for the preview. This looks awesome!! APRIL CONTESTS! WIN FUN FAMILY EXPERIENCES IN ORLANDO! Copyright 2017 ComeSeeOrlando.com. Powered by Blogger.